Move aside and let the fighter enjoy and partake in the spoils which resulted from the biggest night of his professional career. Recognition is slowly seeping in simply because the shock may be finally headed towards the door. Prior to last Saturday evening, Nonito “Filipino Flash” Donaire was among the top pound for pound fighters on the planet. News flash: he still is. 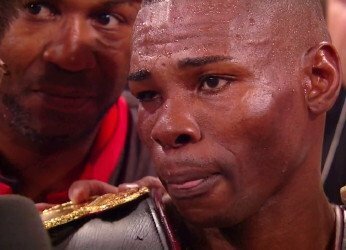 Concurrently, Guillermo “El Chacal” Rigondeaux was indeed the jackal of sorts for the vast and overwhelming majority of twelve rounds in the ring set upon a stage at Radio City Music Hall in New York City. He put on a master class, yet the fact that he thoroughly and soundly beat Donaire isn’t a chorus line which has happily resonated in the eyes of much of the boxing public. What more must he do. He was in the right venue, so maybe Rigondeaux needs to stick around to become a top pick in the upcoming NFL Draft. HBO’s Harold Lederman scored the fight a 118-109 wash. He wasn’t so far off the beaten path. The scores tallied by the three ringside judges and boxing media made it seem as if Donaire lost a slim decision. Please. To be fair: ringside boxing media are usually on some type of deadline to get their respective stories posted. Speaking from direct experience, they don’t have the benefit of the television announcers, the snippets of ring talk in a fighter’s corner between rounds or any such input from an independent scorekeeper. Still, perhaps the question that needs to be directed towards the Intelligentsia Pugilistica is not so much a case of “what fight were you watching?” as it is a surefire query of “do you even remember what you are watching?” . In boxing a square ring is used, not a sidewalk or bar room floor. A true appreciation of the object of the sweet science is the realization that an opening presents itself and the seasoned fighter can take advantage of the opportunity. Some have slighted “El Chacal” for his paw-like jabs that he threw in Nonito’s direction all night. He was smart enough to neutralize Donaire’s attack for much of the fight and the one time he didn’t convincingly do so was when he went to the mat in the tenth round. He moved and moved and moved even more. Not to compare the two, but when Floyd Mayweather, Jr. does a similar round robin approach in order to keep his opponent at bay and not let matters escape his hands (or gloves), he is lauded with great heaps of praise. Maybe if Guillermo learns just enough to English to talk some effective smack, then he’ll be appreciated more. After all, it’s usually curse words in another language that we prefer to learn first. The judges were far too kind to Donaire and far too disrespectful to Rigondeaux. Granted, “El Chacal” is only a fourth year professional but his amateur background is one of sheer legend. Chances are great that he had seen someone with the ring likenesses of the “Filipino Flash” sometime in the past. Perhaps once or twice in one of the four hundred plus bouts he took part in during his pre professional days. Two Olympic gold medals and already a world champion after twelve professional fights. It’s also reported that he pocketed $750,000 for the bout. That doesn’t exactly seem like simple shillings. Guillermo just needs the power to accompany his ring prowess. He didn’t appear to be obsessed with a knockout and likewise Nonito’s iron chin certainly helped his respective cause. It’s okay that Donaire lost. He was taken to school however he wasn’t taken back behind the building. It’s quite understandable to see what led so many to think that last Saturday’s fight produced less excitement than spending an evening watching the best of C-Span. Most of us still want the blood and guts. We did get a little bit of blood and let’s not forget the guts necessary to be a formidable prizefighter. It was basically the instructors manual that you read then destroy, so not many are clamoring at the chance to watch the fight again. The man has done well. He did what was needed to win. Let’s not apply the double standards here. The Olympics definitely helped. All he had to do was lose the tank top and the headgear. Previous boxing news: Martinez vs. Murray: Definitely Maybe?